Our intervention philosophy begins with the idea of meeting students where they are at and giving them a hand up. 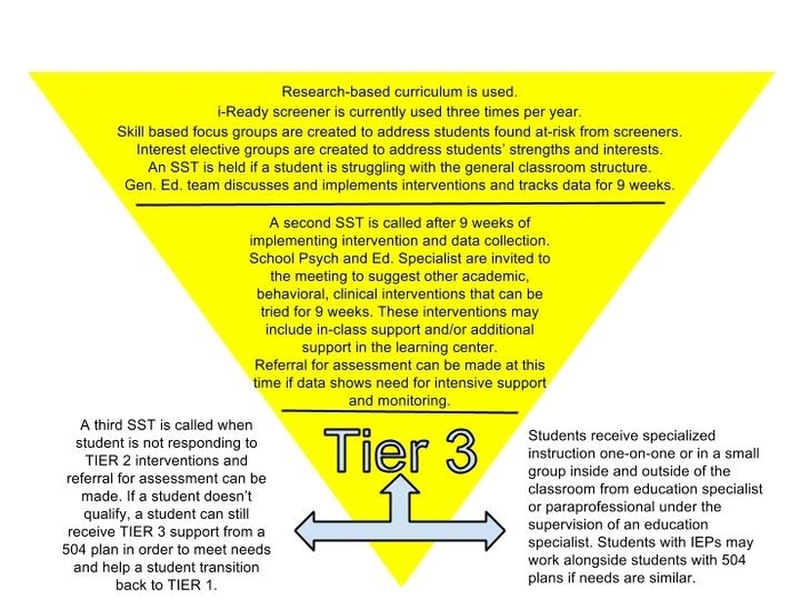 According to the RTI Action Network, Response to Intervention (RTI) begins with early identification and support of students with learning and behavior needs. Students demonstrating need for extra support are provided with interventions at increasing levels of intensity to accelerate their rate of learning. These services may be provided by a variety of personnel, including general education teachers, special educators, and specialists. Progress is closely monitored to assess both the learning rate and level of performance of individual students. Educational decisions about the intensity and duration of interventions are based on individual student response to instruction.